The move is in line with Nissan's global 'Intelligent Mobility' plans, which Nissan India is closely working under. Nissan is all set to upgrade a select number of vehicles from its India portfolio with advanced telematics and connectivity services. The new technology is being first rolled out to the Micra, Sunny and the new Terrano, which will all fall under the purview of Nissan's connected car ecosystem. The aforementioned cars will go on sale from mid-July, reports Autocar India. The cars will include the necessary hardware for connectivity, and use an accompanying smartphone app to offer advanced servicing details, vehicle diagnostics and GPS data. Nissan is already working on connected car technology under its global Intelligent Mobility plans for its future, and the three connected car offerings in India will fall under its purview. The new technology will offer car owners with live, detailed vehicle dynamics, computed service reminders in accordance with how the cars are driven, and advanced GPS data to show live traffic details and call for support easily by identifying car location from within the car or its smartphone app. With connected cars going hand in hand with clean energy solutions, Nissan is now also expected to introduce the hybrid powertrain variant of the X-Trail SUV in India, to take on the likes of Skoda Kodiaq and Volkswagen Tiguan. 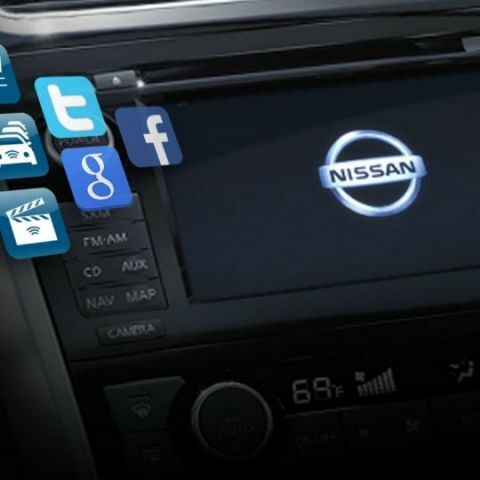 Nissan will also be looking to streamline its servicing solutions, keeping live tab of cars and service requirements with the connected car platform. This move will oppose the preference of Indian car owners to opt for third party service providers due to less expensive services. The new ecosystem is expected to be rolled out in about two months, following which it will be interesting to see how other car makers roll out their own offerings with connected car services, and how each synchronise with each other. Is it good to introduce Bullet Trains in India while the normal trains are lacking even the basic facilities?